How to Use Shea Butter for Acne? Shea butter is essentially the oil extracted from the shea tree. It consists of huge number of ingredients that are extremely useful for the skin. It is known that each of its ingredients is beneficial for maintaining the smoothness, elasticity, and appearance of healthy skin. Besides, the ingredients used are very effective at fighting against acne. 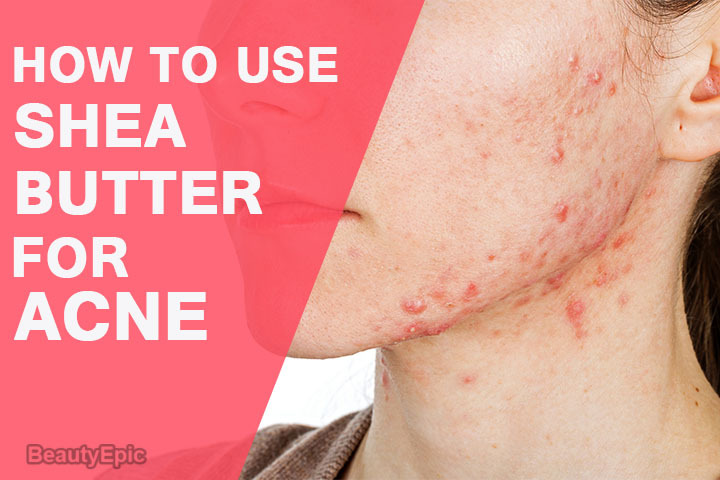 Here we explain in detail on how to use shea butter for acne. What Does Shea Butter Do for Acne? The pretty of Shea butter is that it gets easily absorbed inside the skin and successfully offers moisture without blocking the pores. Shea butter is perfect for acne due to its non-comedogenic, which suggests that it does not hamper with skin pores and block them. After your skin has been cleaned and has been dry, it is recommended to apply fresh raw Shea butter through a small makeup sponge. It is known that this would be effective than applying your fingers. 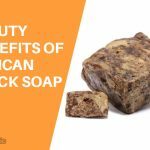 Black soap is known to effectively cleanse your skin. Besides, it also removes makeup completely, but you must not use it as an eye makeup remover. Initially rub the black soap between your hands in order to generate the foam. Now in the foam, add 2 tbsp of shea butter. 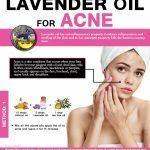 Now apply it directly to your skin or to the part affected by acne. Apply it softly in order to avoid any damage created by any particle that may harm your skin. Leave it for around 3-5 minutes prior rinsing it off using warm or cold water. Shea butter possesses natural anti-bacterial as well as anti-fungal properties which function to cleanse your skin gently. 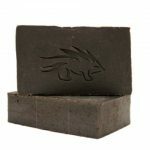 The ash present in the black soap assists to naturally and softly exfoliate the skin, removing clogged pores of extra oil, and debris, without over drying. Tips: You need to be patient because black soap may take several weeks to offer its full effectiveness. Moreover, few people may feel a skin purging effect because the soap naturally detoxifies your skin. Tea tree is considered as the finest essential oil for curing acne. It can effectively treat and prevent every kinds of acne, ranging from deep rooted pimples to pus-filled cysts. Take a medium-sized clean container and then put 3 tbsp of soft shea butter. Now add approximately 18 drops of tea tree oil and then combine together using a disposable spoon or chopstick. Apply the mixture to the affected skin area. Tea tree oil is known to have terrific anti-acne properties which always keep acne in check and also function to avoid any more pimples from rearing their ugly heads. The mixture of tea tree oil and shea butter function to disinfect cuts and avoids them from turning septic. Repetitions: Use this mixture during night time alone in form of an overnight acne treatment. Tips: In order to make the mixture silkier/ extra moisturizing, you need to add some tbsp of oil like olive oil or jojoba oil inside the blender along with the shea butter. Olive oil and shea butter combination is basically a thick moisturizer for the skin. Contrasting to lotion, the combination would not easily wash off your skin, creating it a rich emollient, suitable for dry skin. Take a bottle, put 2 tbsp of shea butter and then cover it using 5 tbsp of olive oil. Now shake it well till all the shea butter mixes with the olive oil. Prior your bath, softly apply this mixture on the skin areas where there are stretch marks. After the bath, you can also apply the mixture as a moisturizer to your entire body. How it works: The mixture of shea butter and olive oil is used to enhance the skin’s moisture by offering moisturizing oils to the skin’s surface and then locking it using waterproof butter. Repetitions: Once a day for 6 months to see good results. Best time to apply: before and after your bath/shower. Tips: To get effective results, use this mixture daily before and after your bath/shower. Shea butter and coconut oil are known to be the two ingredients that are greatly common in natural skincare products. Hence, the combination of the two works well to treat acne. Take ½ cup of raw shea butter and ¼ cup of coconut oil. Now place them inside a dry and clean blender. Now put the lid on and saturate them together for around 2 minutes. Transfer this mixture inside a dry and clean container and just leave it in the refrigerator overnight to set. After the above overnight setting step, the soft and highly moisturizing mixture is prepared to be applied on affected area. Shea butter and coconut oil are both exceptional emollients and moisturizers. It is found that each of them possess their own unique benefits due to antioxidants as well as several other healing compounds present inside. Besides, the fatty acids present in coconut oil function as a reinforcing barrier over your skin, sealing the moisture within for powerful and long-lasting hydration. Tips: If you do not refrigerate the final mixture, it is possible that you may find your shea butter and coconut oil separated. This is especially true if you reside in a humid area. Jojoba oil is identified as an extract from the seed of the jojoba tree. The purpose of using it along with shea butter is that jojoba oil is basically a wax ester, which is known to be most identical to the human skin oil recognized as sebum. Whenever you apply the mixture to the skin, your skin presumes it is producing sufficient oil. Initially out a small, heat-safe bowl inside a pan of warm water or you can also use a double boiler. Now scoop 1 ounce of shea butter into the pan. Now add 3 ounces of jojoba oil and mix well till the mixture melts. Take care to cautiously remove from heat. Now add 1 ounce of tamanu oil and mix it using a fork or tiny spatula. Now add 5 drops of rosemary oil and 3 drops of peppermint oil and combine well. Apply the mixture over affected skin area. Transfer the final mixture into a tiny, lidded jar. Then store it in a dark and cool place and it must last for several months. Jojoba oil is excellent carrier oil for the present DIY moisturizer for oily skin. The combination of jojoba oil and shea butter is extremely emollient and healing to your skin. It functions to decrease wrinkles and fight against skin infections. Additionally, it even drenches the skin through moisture while enhancing the blood flow. Best time to apply: Ideally, you need to apply the mixture each morning after you have washed your face or when you have taken the shower bath, in order that you maintain the skin moisture. You can apply again before bedtime. Tips: Apply the mixture with gentle upward strokes. Honey is found to be very rich in skin healing enzymes as well as naturally occurring anti bacterial compounds. These compounds assist your skin to stay away from harmful bacteria. Initially combine raw 2 tbsp each of shea butter and raw honey. Now gently wash off the affected skin region using warm water and a washcloth. Now apply the mixture to that affected area. Honey and shea butte combination function to heal and protect the farthest layer of skin which is responsible for retaining a healthy pH balance. This is because in absence of proper pH balance, your skin is incapable to keep itself secured from injurious bacteria, and such bacteria can later invade your skin via the broken outer barrier. Moreover, the combination assist to keep your skin disinfected as well as protects it through minimal effort. Best time to apply: At night. Tips: Make sure to wash the affected skin area prior to applying. Acne has now become a common skin problem because you can now find more number of people with the complaint of acne. Use of shea butter in combination with ingredients discussed above can help to treat acne effectively. However, you can discuss with your dermatologist if you have any skin allergies. 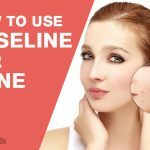 How to Use Aloe Vera For Treating Acne? Shea Butter for Acne :Shea butter is perfect for acne due to its non-comedogenic, which suggests that it does not hamper with skin pores and block them.